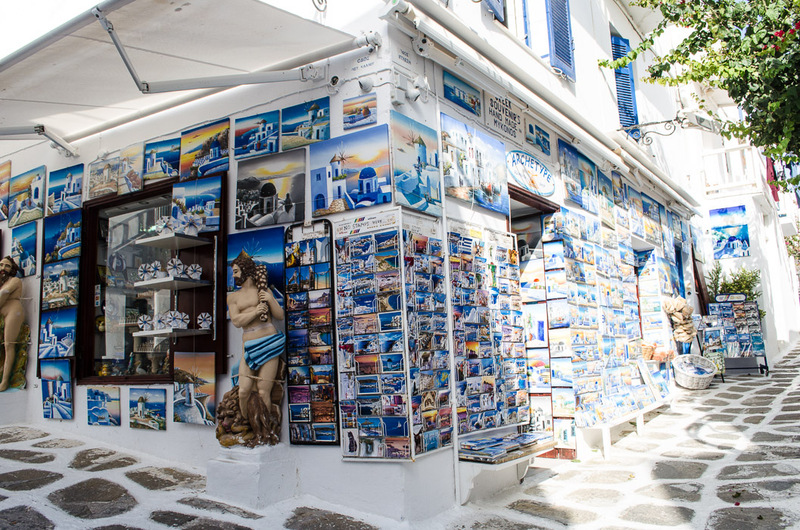 Walking through the streets of Chora among the diverse, international, cosmopolitan (and very often famous) crowd, it seems sometimes as though the entire world converges on Mykonos in the summer. 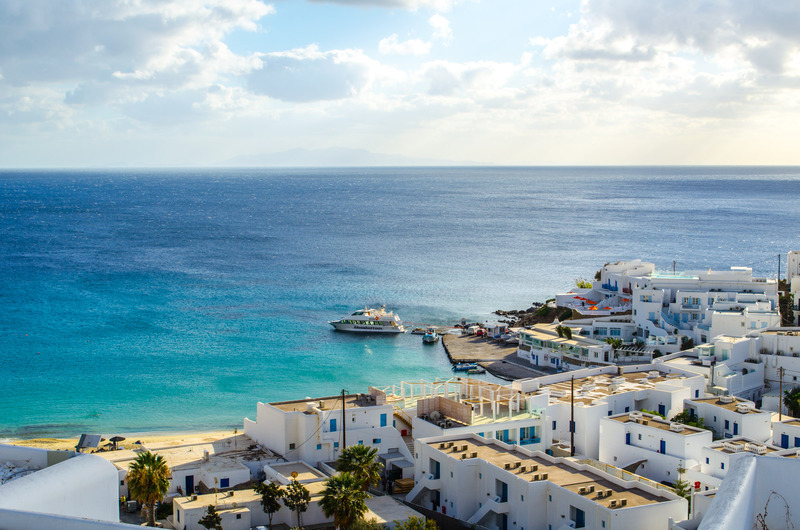 How does this small Cycladic Island safely and gracefully accommodate so many people? With a team of dedicated professionals at the ports and the airport. The numbers involved are absolutely incredible. 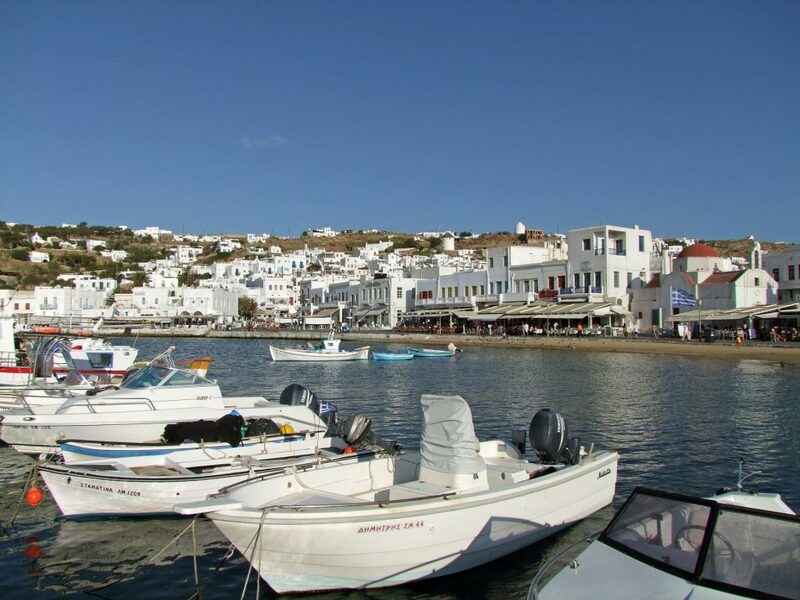 Mykonos, not 10 km wide, so small and sparsely populated that there is only one high school on the island, has a winter population of a little over 10,000, joined by about two million visitors. How do they get here? The Greek travellers arrive by plane and- more old-school- from ferry from neighboring islands, Piraeus and Rafina. Many foreign visitors arrive by cruise ship- generally over 700,000, arriving on almost 600 ships per year, most of those in the high season. That makes this Greece’s fourth busiest cruise ship harbor, with as many as 7 ships arriving per day. Some of these will stay only for a few hours- just enough time to buy some souvenirs and take a photo with Petros the Pelican. The large ones can have around 3,200 passengers, plus 1,500 crew, that’s about the population of Chora in winter, on a single ship. Luxury ships have a smaller capacity, 2500 -500 passengers. Tenders are available to Ferry the passengers from these enormous craft into the smaller harbor. The logistics involved are extraordinary, and so is the paperwork. Nikolaos Vardalahos, Harbor Security officer, has tremendous responsibilities, for the passengers, their transportation to and from the Chora harbor, and the security of the harbor itself. For many of these ships, the next or previous port of call is in a foreign country, requiring visa checks and passport stamps. For security reasons, 48 hours before an international ship is expected in port, the harbor authorities must know the exact number of passengers. And what about all those arriving by private boat- small sailboats to large yachts? These are docked in the Chora harbor and several nearby harbors. But if they are truly enormous, the man in charge, Nikos Rosolatos, may borrow a cruise ship berth to fit a couple of them in side by side. There are no reservations here at what is one of the world’s most high profile destinations. 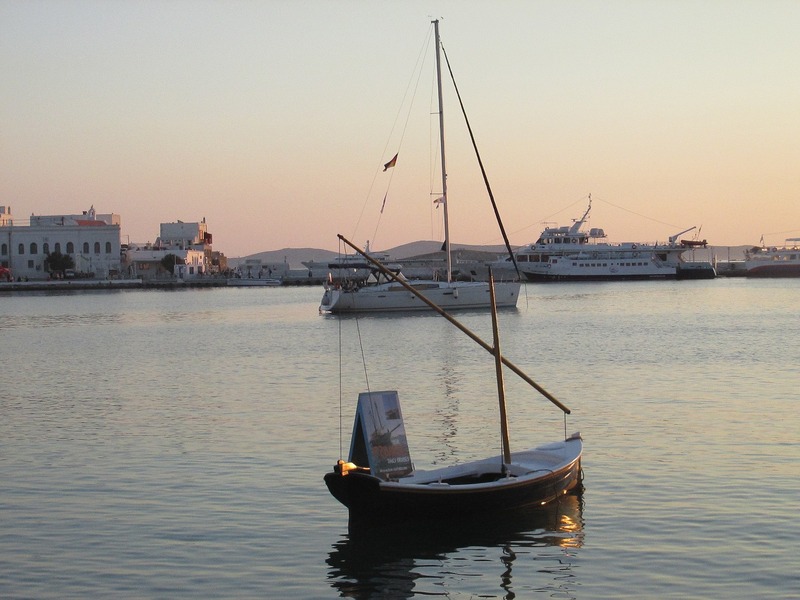 How to get one of the most coveted berths in Greece? People just call or sms me and tell me when they’re coming. I pretty much always try and make it work” he says. Sometimes as many as 20 arrive at once, in which case he goes to take care of the docking himself, to accommodate as many as possible, with a maximum of safety. “Depth is also an issue,” he says, “in the off season, I dive down to check the moorings myself.” The private boat season is longer than the cruise ship season, with pretty much maximum occupancy from May through September. What are his hours? He nods to a couch behind his desk, and an espresso machine. ”Insane.” he says. “But I totally love this job. The airport, now overseen by Fraport, sees a similar surge in activity. In March, there might be 3 or 4 arrivals or departures per day. In July and August, that number jumps to 40 or 50. 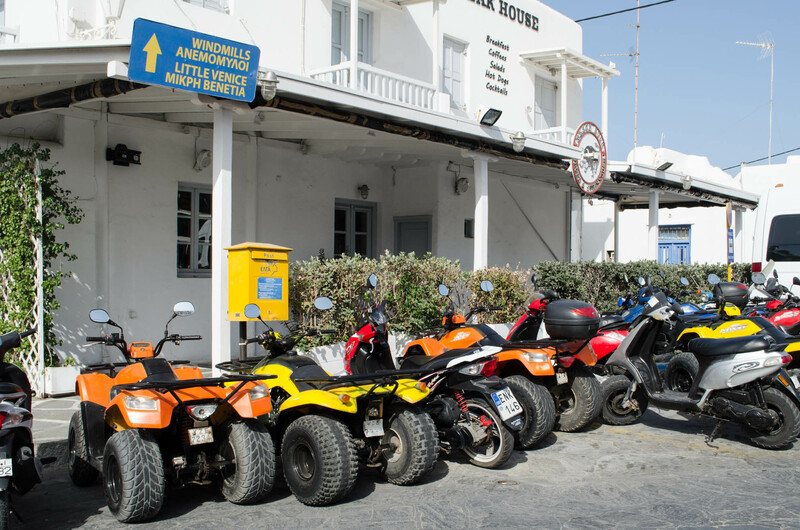 But some of the island’s visitors like their air travel exclusive, like the rest of their experience (this is, after all, Mykonos). In addition to the commercial flights, there are some 30 – 40 private jets per day. And don’t forget the helicopters, maybe ten or so daily. Another vital service that keeps the island functioning smoothly? The post! Mykonos’ post office sees no ordinary freight- handling the odd sized artworks and other treasures travellers send home with professional and efficient service. We asked Postmistress Ioanna Bitsikokou about volume. ”Oh, maybe 40,000 postcard stamps a season.” She says. That doesn’t sound right though, so we double check. “Oh, no- that’s just one customer, selling postcards in the harbor.” That makes more sense. 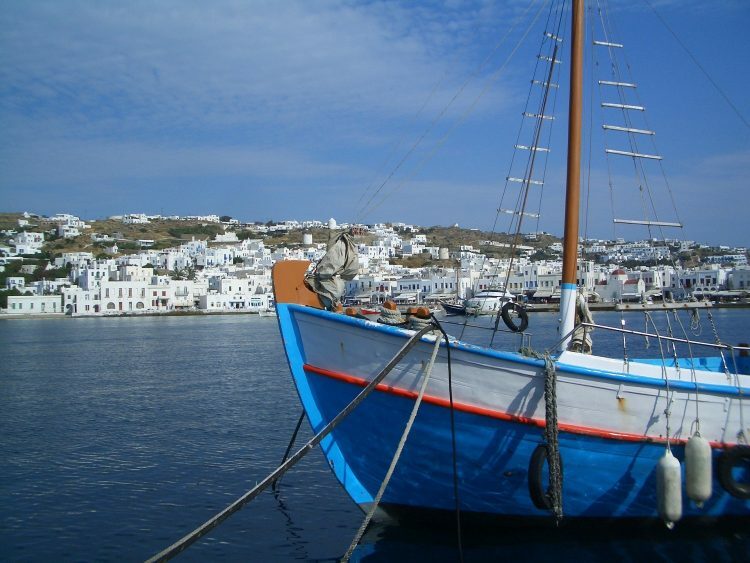 Have you ever been to Mykonos in the busy season, to experience the excitement for yourself? How did you travel to the island?